Before I get into writing this post, I must say I have to have the best girlfriend in the world because she willingly went on yet another pizza review with me tonight to the Loading Dock. I hate to brag, but being a pizza critic isn't exactly the coolest thing your boyfriend can be doing. 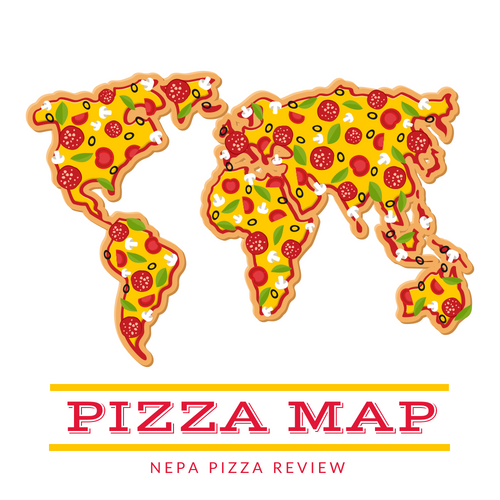 She'd probably rather me jumping motorcycles over a flaming pit of crockidiles or playing lead guitar for some awesome band, but instead she gets a guy who eats pizza then writes about his culinary exploits for the world to see! 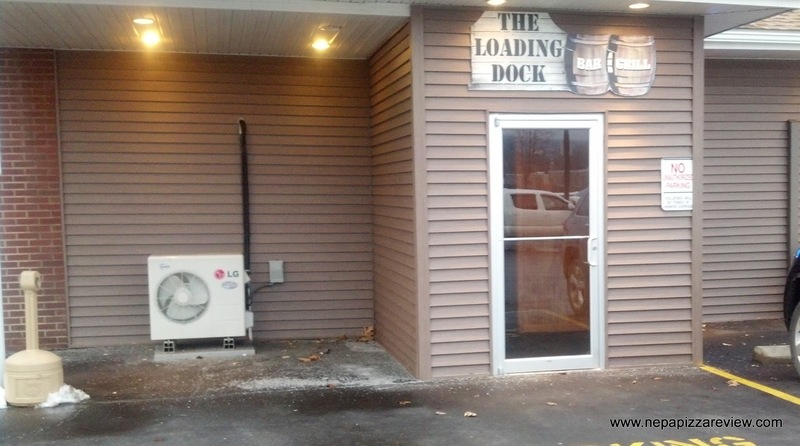 I digress, anyway, to be honest we really came to the Loading Dock to review the wings as I've had numerous friends rave about them in recent months. 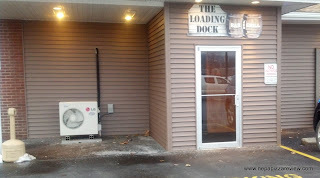 I figured while we were there, we should probably let the NEPA Nation know how "The Dock" is doing in the pizza department. I must say, I do like the setup of the bar with several TV's to watch whatever you like, but the tables surrounding the bar are quite small, so I have to say I was confused as to whether this was primarily a restaurant or a bar. The layout said bar, but plate after plate that got cranked out of the kitchen suggested it was more of a restaurant. Either way, the place was packed and there was a wait to even get a table, which told me this place is the place to be! 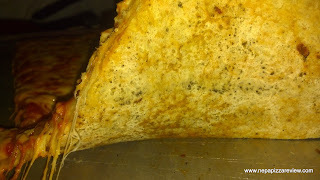 It did take quite a while for us to receive our pizza and wings, but when the pizza did come out, I had mixed feelings on the initial impression and didn't set my standards too high. First up, the crust was pretty thick and if I had to guess, I'd say it was a frozen shell made in a factory because of how consistent the dough was all the way through, as well as how dry and flavorless it was. I should add that the dough was not crunchy and we immediately drew comparisons to crusts served in cafeterias and gas stations across the country. Next up, the sauce was a simple sauce with a fine consistency (no chunks) but was seasoned to my liking as I'm a big fan of oregano. Other than the oregano, I'd say the rest of the sauce was quite neutral. Finally, the cheese was quite a generous helping of presumably mozzarella and cheddar. 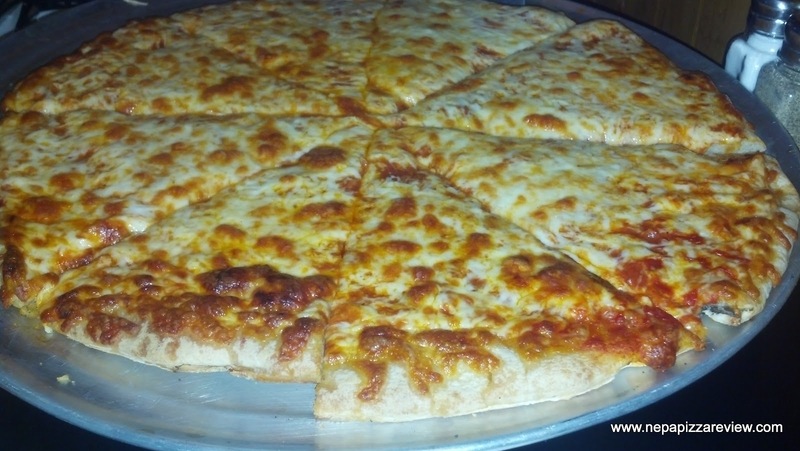 If I had to estimate, I'd say there was between 1.5 and 2 pounds of cheese on this 16" pie, which I would consider to be extra cheese in most places. I usually don't care for a ton of cheese, but I did like the flavor of this cheese combined with the sauce as it kind of reminded me of a cheesy bread dipped in some sauce. Overall, I can see why people rave about The Loading Dock's wings and not their pizza, but clearly the wings are the restaurant's main seller if you look at the menu so kudos to them for knowing their strengths and organizing the menu appropriately. Back to the pizza, I would think this pie would be a hit with the kiddos, because it's a thick, cheesy, saucy pie that I can envision them liking quite a bit. 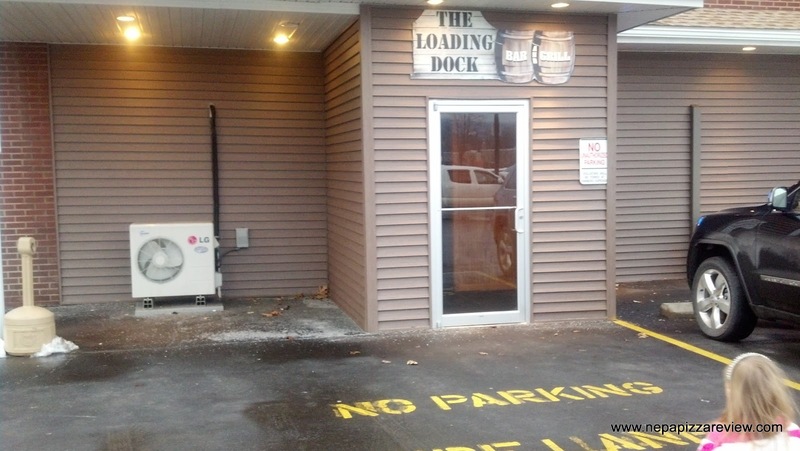 Also check out my review of The Loading Dock's Wings at 570wingreview!